There are so many standard libraries in python that a developer can use for the development for his application. As a result of these libraries more effective apps can be developed. 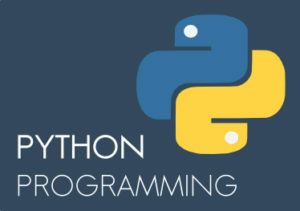 Various programming patterns like object-oriented programming as well as structural programming both are supported by Python and some of its features also supports functional programming. 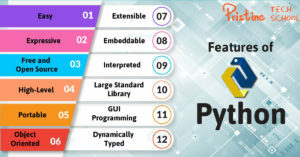 Usage of Python also helps in accessing the database easily and customizing of the interfaces of different databases like MySQL, Oracle, Microsoft SQL Server, PostgreSQL, and other databases can be done with the help of Python. Management and reading of python code are easy as compared to other languages. We can easily reuse the Python code. As it is easy to maintain and read the code it becomes easy for a developer to understand the code. Being an Open source Language so if you want to develop an application it will be cost effective for you to develop that application using python. If we want a more interactive interface for our application we can use this language. As it supports various programming patterns we can use python for complex software. As we know different source produced data. Python can be used for Hadoop. A library named as Pydoop is there in Python, as a result of which big data can be handled easily. Which companies are using Python? Python is recognized as the official language for google. One of the key languages at Google today, alongside with C++ and Java is Python. In the google search engine, YouTube,code.google.com and in open source libraries python is used. All the libraries in Facebook are being managed by the Python. The third most used language on Facebook is Python. Almost 21% code of Facebook written in Python. Instagram one of the most used application in the world, mostly written in it. For data analysis and also in back end Spotify use it. Quora is one of the famous company that uses Python. It is simple as a result of which is easy to learn python. 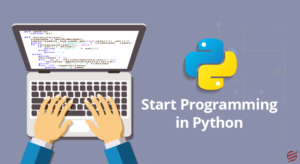 The code is quite simpler as compared to other programming languages, so if you want to learn any language you can go for Python. 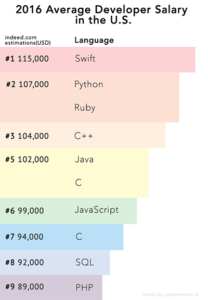 Salary packages are more for Python developers. Chances of growth is more. 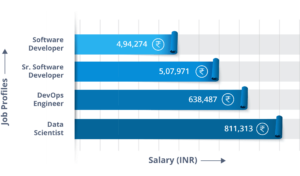 So for salary growth, you can go with Python. If you are a web developer and want to learn more Python is a perfect option for you. AI and Machine Learning also used python. If you want to start your career in AI or in Machine Learning Python learning can be a good option for growth.In other words to learn AI & ML Python is a must. What Type Of Job Opportunities is thereafter learning Python? 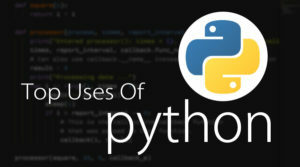 Thank you for writing a detailed information about the use of python.